Annual Colorado Winter Festivals – Let the Fun Begin! When people think about Colorado, they think about the outdoors, and during the winter they often think about skiing, snowboarding and the countless other winter activities the state has to offer. Of course, this time of year, locals and visitors alike are focused largely on all the festive holiday events and activities going on, but there are many other entertaining and fun annual Colorado winter festivals at other times as well. Since I live in Aspen, I’m most familiar with Winterskol, so I’ll start with that first. One of the most anticipated and fun Aspen events of the entire ski season, Winterskol is a celebration of "Aspen's unique Nordic lifestyle". This annual winter event began in 1951 as a way to bring visitors into the town during the three weeks after Christmas, a traditionally slow time of the year. the ever-popular “Mad Hatter’s Ball”. For more on Aspen Winterskol here: http://www.aspenchamber.org/events/acra-annual-events/winterskol. crowd favorite, the "Donkey Jump", sends kids soaring off a jump for up to 40, or even 50 feet. With a current slogan of “Get Your Axe in Gear”, the Ouray Ice Park has hosted the Ouray Ice Festival every January since 1996. The festival, known as the world’s preeminent ice climbing event, attracts ice climbers, equipment manufacturers, industry sponsors and ice climbing aficionados from around the world. Ouray is often considered the winter ice-climbing capital of the United States, and the annual ice festival features a fun-filled weekend of contests, exhibitions and instruction by many of the world's top ice climbers. For more information about the festival, visit http://ourayicepark.com/ice-festival/. Ullr Fest began in 1962, as a week-long celebration to honor Ullr, traditionally known as the Norse god of winter (and in modern times, the patron saint of skiers), in order to win his favor. Every January, the town of Breckendridge holds the event so that the historic ski town will be rewarded with abundant snow for the season. Ullympics - frying pan toss, group ski racing and ski boot relay. SYRCL Wild and Scenic Film festival. 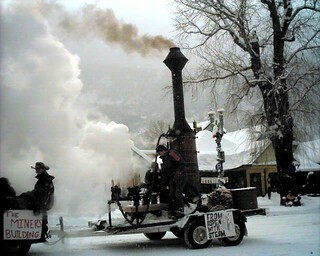 Find out more at http://www.gobreck.com/events/ullr-fest. Showcasing another full weekend of Colorado winter fun, the Estes Park Winter Festival, started in 2009, features skiing and snowboarding-focused trampoline exhibitions, downtown ice skating, chili, beer and wine tasting, music and more. 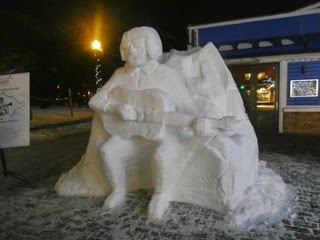 For more information, visit http://www.playwinterpark.com/wpwintercarnival.html. Now that you have all of the details, what is the overriding theme of all of these events? They are incredibly fun!! While all of the usual holiday festivities are enjoyable and entertaining, these annual Colorado winter festivals uniquely celebrate winter and the Colorado outdoor lifestyle. They exemplify the true enjoyment of visiting and living in the magnificent mountains of Colorado.